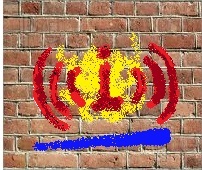 This is the Alliance Portal for MobileT Cover The Real News! The Portland Jobs With Justice "Scrooge Of The Year"
Hey there! Thanks for dropping by Mobile T www.JoeAnybody.com ! 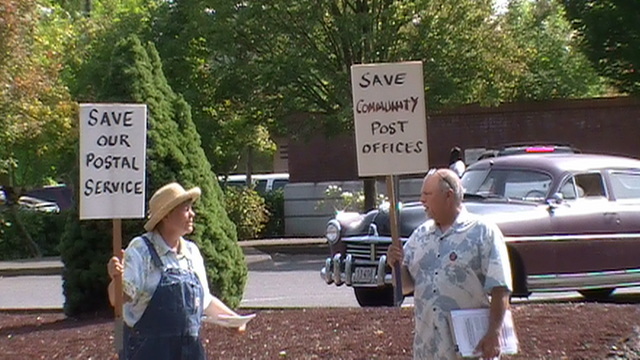 Portland held its third “Occupy The Post Office” action on friday. Though numbers were low, groups of former and retired postal workers and activists managed to reach out to the community at three different north and northeast Portland locations. Laurie King, a long time Portland activist and organizer with Portland Jobs With Justice tells us how the closure of Post Offices along with cuts to workers and mail service will affect people. This is part of a broader national campaign to Save Americas Postal Service, and was organized by Portland Communities and Postal Workers United.